Inspired by Tesas amazing pumpkin I wanted to keep on creating with the fantastic Halloween papers that came in my kit. This time I stuck to Martha Stewarts 12x12” paper pad “Haunted”. I embellished my box with stickers from Echo Park’s Chillingsworth Manor. 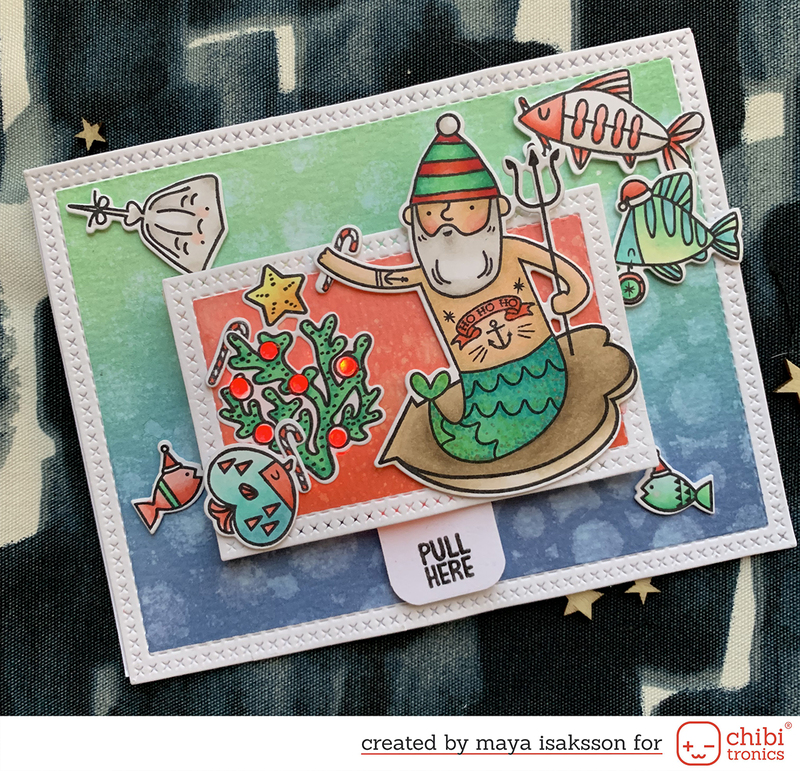 The green tag came in a stamp set by Martha Stewart together with twine and ink pads. 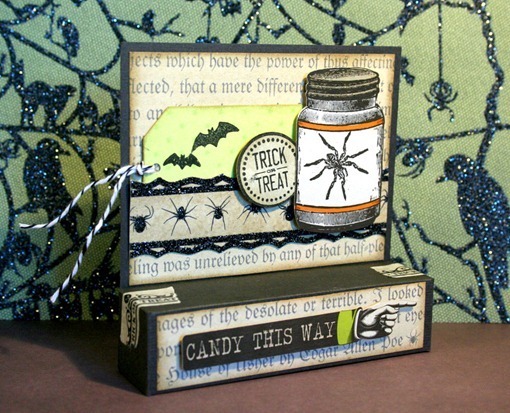 I used Martha Stewart Paper Tape to keep the box shut, I love that it says Trick or Treat.